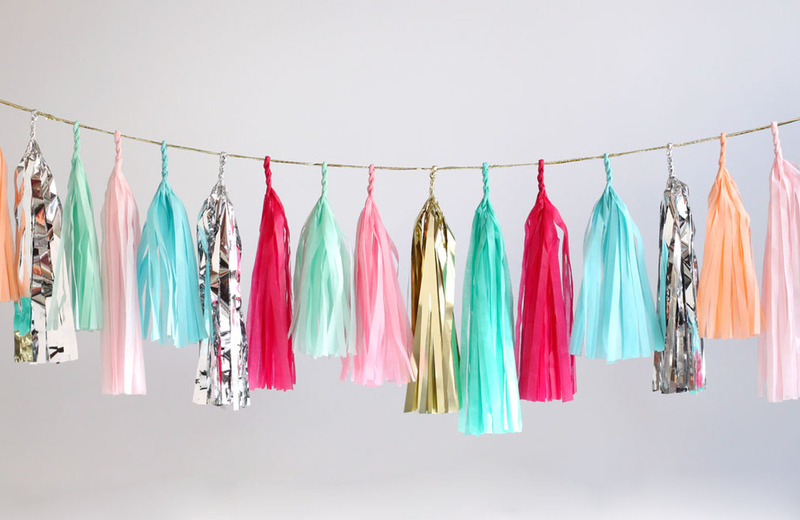 We love a garland here at DTLL HQ. 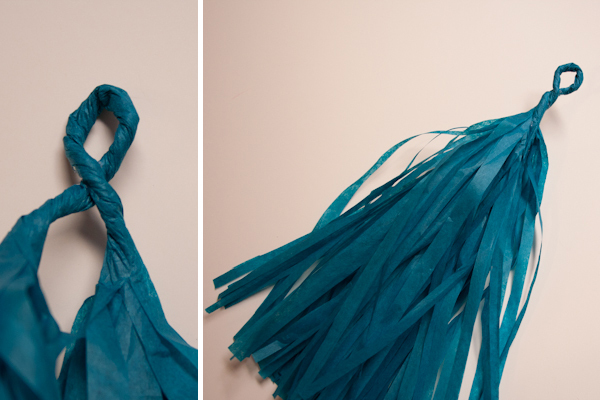 But the tassel one just may be our favourite! Thanks to the lovely team at The Sweetest Occasion, we though we'd share with you this tutorial on how you can make one for yourself. Various colours of tissue paper (including metallic cellophane if you wanted). Firstly, fold one sheet of tissue paper in half width-wise, then fold it over twice length-wise. 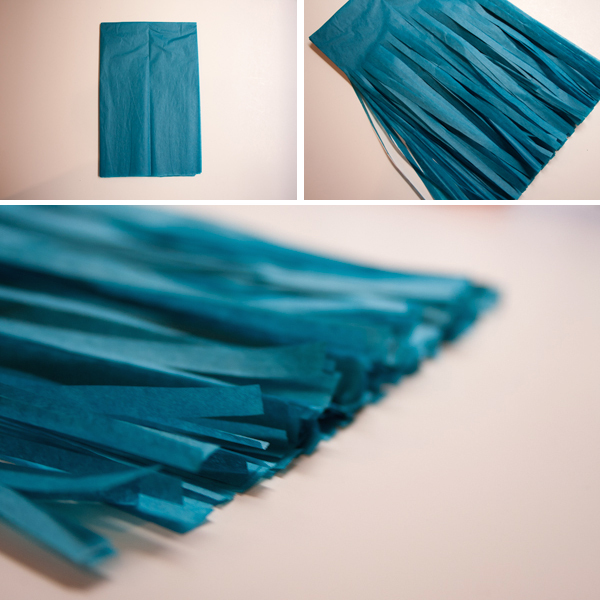 With your scissors, cut strips of fringe about 1/4" wide along the unfolded short edge of your folded tissue, leaving about 2" of uncut tissue at the folded edge. Then unfold your two length-wise folds, and cut the tissue in the centre, creating two folded halves. Set one aside. Next, open your remaining half and lay it out. You should have a sheet of tissue with fridge on either side and a solid section down the centre. Using the solid centre section, being to roll the tissue paper up, being careful to keep the fridge untangled. After the entire section is rolled, twist the centre tightly, then curl it in on itself to create a loop, and secure it with a small dot of glue. 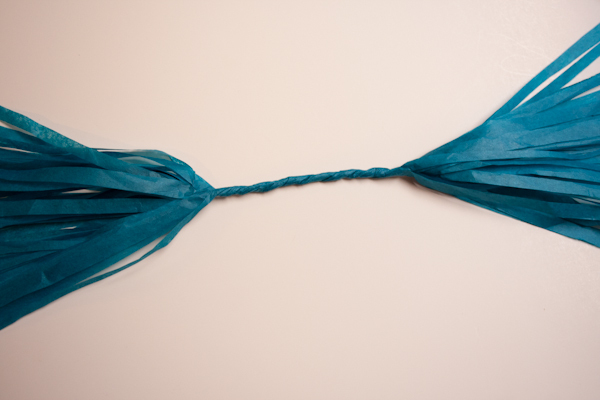 Finally, trim the ends if you need to and string your tassel onto the cord. 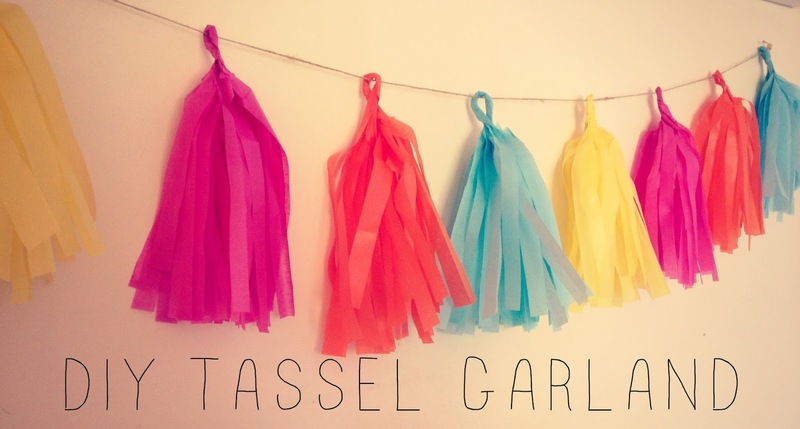 Repeat until you have as many tassel's in as many colours as you like! I had a go, and this is my final result. It now sits proudly above my desk - I love it! Top image from Confetti System. All middle images via The Sweetest Occasion. Final image via Amelia Williams.